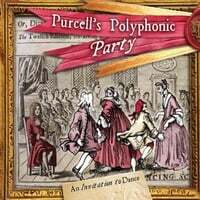 Nyckelharpa, viola d'amore, harpsichord all blended together with a plethora of instruments to create a danceable, listenable and beautifully baroque Playford dance experience. PPP are a trio of musicians sharing a love of fine music from the baroque era. They also share penchant for tuning lots of different strings. Each musician brings a whole plethora of skills to the ball. Vicki studied at the Royal College of Music on the double bass. She also plays the various types of bagpipes, flute, recorder, piano and nyckelharpa. On leaving music college Vicki started down the long path of folk music and was only seen on rare glimpses back in classical orchestras. You’ll find Vicki now inhabiting the troll ridden forests playing her Swedish bagpipes and rooting out new tunes for the various breeds of nyckelharpa. Vicki holds the Zorn bronze award for the traditional playing of Swedish bagpipes and runs workshops and teaches the nyckelharpa around the UK. John grew up steeped in the traditions of Southern England. His unique playing style, and his compositions convey a deep understanding and passion for indigenous culture. John started to play the viola d’amore for song accompaniment, and has developed his own tuning system which enables him to use drones and double-stops that would be impossible on a standard violin. He has recorded on several film soundtracks including the Hobbit, and also performs with The Emily Askew Band, Dipper Malkin, Patterson Dipper and Methera. Composer and competition-winning guitar player; Jonny’s outstanding technical ability, coupled with a wide-ranging musical taste has made him a tireless and forceful musical innovator. Jonny has been singing and playing classical and choral music, soul, jazz and folk for as long as he can remember.